Funny how an album that basically sounds the same for 10 songs, perhaps even like all Swervedriver's albums of the past decades and still totally be okay. The loop on the cover of Future Ruins is of a level of excitement that is totally missing on the album, yet things are alright. 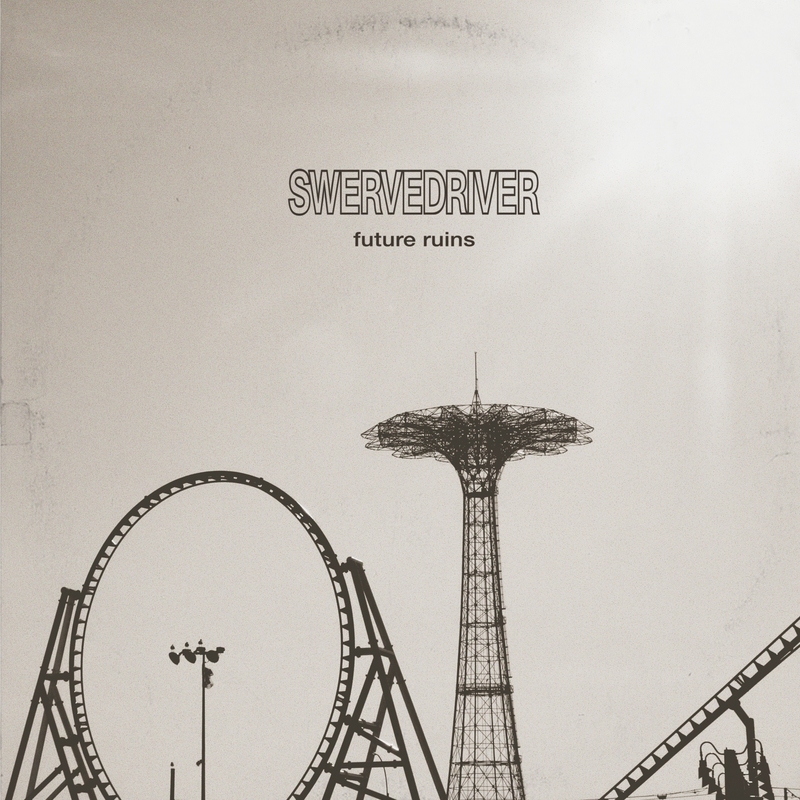 Swervedriver is around for decades, with a missing decade in the 00s, making Future Ruins only its sixth album. For a band that started in 1989 this is not a large output. Guitars play a large role on the album. They lay down the layer of sound, propelled forward by drums and bass, over which Adam Franklin sings his downtrodden songs. Happiness is not found in this beat it seems. Franklin's voice reminds me of Teenage Fanclub, a kind of singing where emotions are sort of absent. As if music is not an outlet for, let alone a conveyor or even instigator of emotions. Of course music and vocals are in perfect balance. 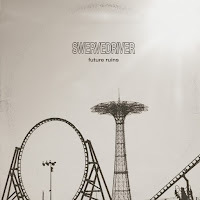 To enjoy the music of Swervedriver it is important to notice the little guitar lines woven into the wall of sound, the extra notes the bass player presents us with and the drum fills on the side of the larger picture. Accept some feedback and (short) drones here and there and you will get the larger picture. A song like 'Golden Remedy' works exemplary here. It is 'Everybody's Going Somewhere and No One's Going Anywhere' and 'Radio Silent' that are the odd ones out. More atmosphere than song it makes the psychedelic tendencies of Swervedriver come out. Tendencies that are a minor part of the whole of Future Ruins. Underneath the shoegazing, alternative rock there is a large component stemming from 60s (garage) rock, not unlike the already mentioned Teenage Fanclub and the über 60s emulator Big Star and its "kids" The Posies. All this comes together on Future Ruins and like I already mentioned things are simply okay in the world when I play Future Ruins.